The final DVD release of the year has arrived! So here are my thoughts on The Christmas Express! 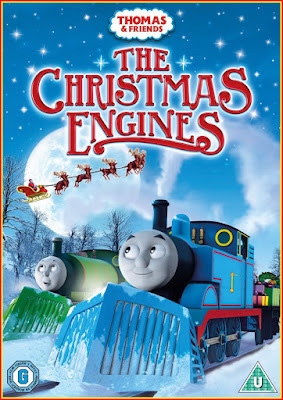 This release features four festive, and one that has nothing to do with Christmas, episodes from series 18. You know, this episode list really disappoints me. That's not because I think the episodes are bad; if you've read my reviews, you'll see that's not the case. What disappoints me is that there are no new episodes from the US version as a way of saying "thanks for your patience!". 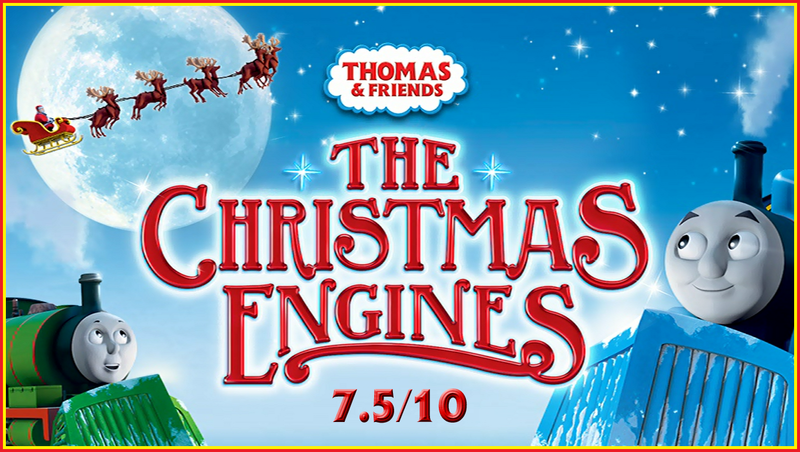 The last festive release (Santa's Little Engine) was given three extra episodes while the series 16 Christmas-themed DVD had an extra disc with five episodes bundled in. So to see that this one is practically the same is a real shame. That being said, since they added Old Reliable Edward to the Adventure Begins DVD, I can understand why they didn't have any extras here; adding more episodes here could have disrupted releases planned for the future. There's only seven episodes left to be featured on a DVD, maybe they'll all be added to Signals Crossed, the final series 18 release? The bonus segments are nothing new, really. Mr Perkins' Postcard focused on Tidmouth Sheds this time around. It was a very simple segment about a location that really isn't much of a talking point; it just talks about the sheds protecting the engines from the elements, giving them a nice place to sleep. The only really interesting things mentioned is that Duck now stays in a shed on the Little Western and that Toby doesn't sleep at Tidmouth either. Why they didn't mention where Toby sleeps, I don't know. Does he sleep at Ffarquhar? Knapford? Heck, even an Arlesdale End reference would have sufficed! As for Duck's, maybe we'll see that shed in the near future? It would be interesting, considering his branch line was heavily focused upon in Sodor's Legend of the Lost Treasure. The Story Time segment featured Percy and the Tro... no, wait, A Scarf for Percy. You know what? I'm fine with this. 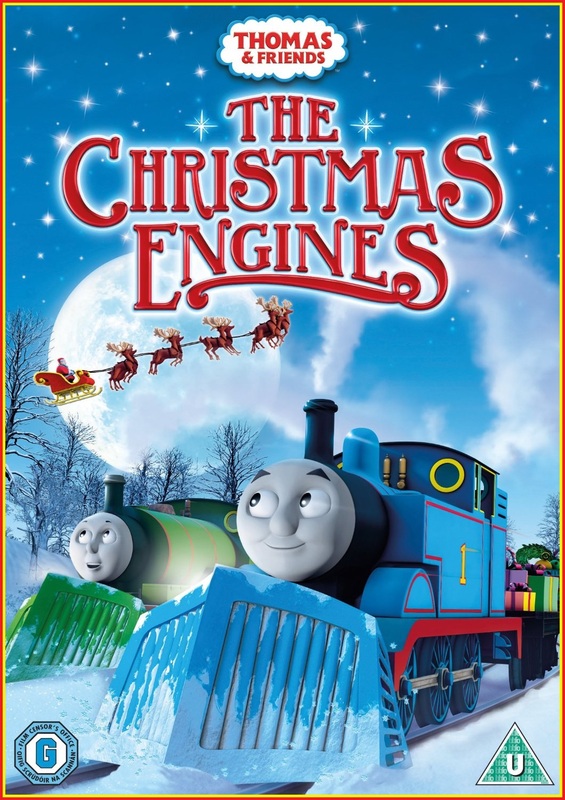 Granted, I would have probably preferred a Christmassy story on a Christmas themed DVD, but the fact that they decided to adapt the episode made more sense as it was given a bit more time and attention on TV, while it felt like a bit of an afterthought in the Railway Series. Because it was based on the episode, it meant that Loraine Marshall was given more of a chance to shine as illustrator, as the majority of the story that Perkins told didn't have any. And she did an excellent job. It;s nice that she actually kept the look of the locations similar to how they would look in the books, even though the story in the segment was based on the episode. It felt consistent to the other Story Time segments because of it. Speaking of which, I'm glad that she depicted Henry as a Black 5 as he was in the books, too. He looked really good, and his faces looked Dalby-esque. Although the one he had in the final illustration was... a bit weird. Who's That Engine? featured Emily this time around. I've always really liked how Arc have shown off each engine in these segments. The main camera angles get a bit same-y after a few of them, but that doesn't detract from the work that went into them. The episode that was talked about after was Emily's Winter Party Special which was... boring. The segment did a good job of cutting it down, but it still didn't make it any more interesting. Also, the "winter festivities" was actually a nice touch. At first, I did think "they're reverting to the PC era..! ", but after thinking about it, I don't think that's the case. There are quite a few celebrations in winter, and this was encompassing them all. If it was a Christmas party, I'm confident the narrative would have said so. There were two Really Useful Engines segments featured: one for Henry and one for Toby. There's not really much to say about them; they both described the characters well and there was a nice range of footage, although Arc's stuck out quite a bit from Nitrogen's. Also, I do hope they add more to Henry's character than simply being a worrier. The Earl's Quiz was pretty standard, with questions this time on No Snow for Thomas and Merry Winter Wish. The questions seemed to revert to being easy again for this release, but they can't all be difficult; they are primarily aimed at children. The presentation is the standard fare for Thomas and Friends; high quality animation and a crisp, widescreen picture. If you've seen Sodor's Legend of the Lost Treasure or The Adventure Begins, you'd probably think the colours and lighting aren't as natural here, but it's still brilliantly crafted. The prices are pretty standard: £7.99 RRP, but the cheapest place is Asda for £5. However, if you have an iTunes account, you can get the episodes in HD for £8.99. Although, with the iTunes release, you don't get the bonus features. This is another rather tough one to rate. The episode quality is great, and if that's what matters to you, then I'd recommend it. To everyone else though? Even if you can get it for a fiver, there are Thomas DVDs out there that have much better value. 1st Class Stories, while providing nothing new, is the same price and has 15 more episodes. That said, I do think it's a solid release. The quality, in my opinion, does trump the quantity and it's a nice DVD to get you into the Christmas spirit, which is always nice considering how horrible the world can be.